This is one thing I decided I should cover. This thing is fantastic! Cable management is a breeze, and already comes pretty much done. It has these easy-to-use tie straps. 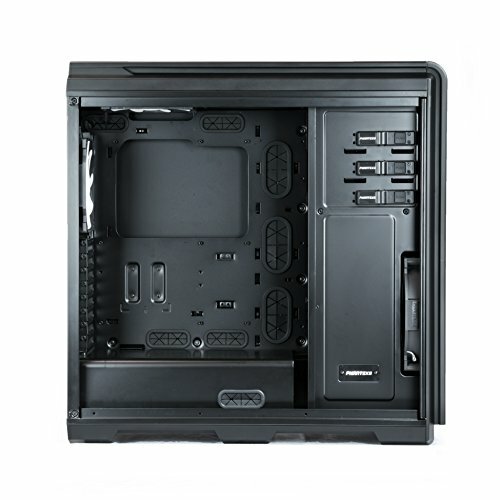 It has two SSD slide in mounts, ton of drive bay space, and looks sick with the LED's. It also has a big color spectrum of LED's, however I just leave it at red for obvious reasons. It is super water cooling friendly. 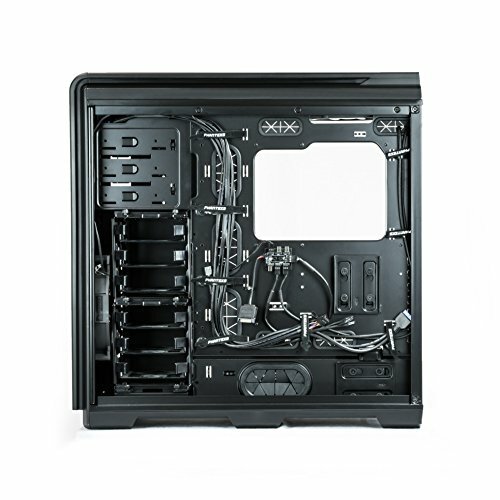 It comes with a ton of radiator space, along with pump and reservoir mounts. 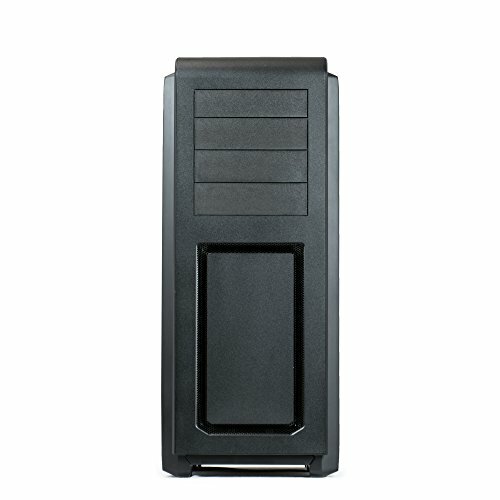 At this price point, I don't see a need to buy any other case besides this one. The Phanteks Enthoo Luxe is a beautiful case - big, solid, tons of extras and easy cable management. 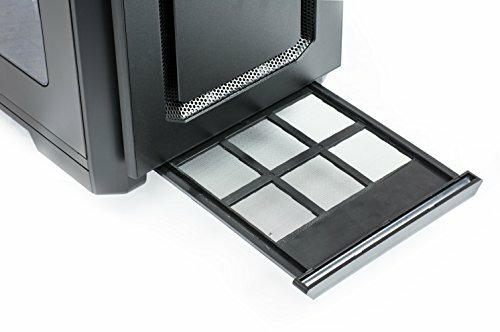 There's plenty of flexibility in building & mounting, which made it a perfect choice for getting in the 980 Ti Hybrids in SLI mounted cleanly and keeping good air flow. Absolutely a joy to work with and look at once it's finished. 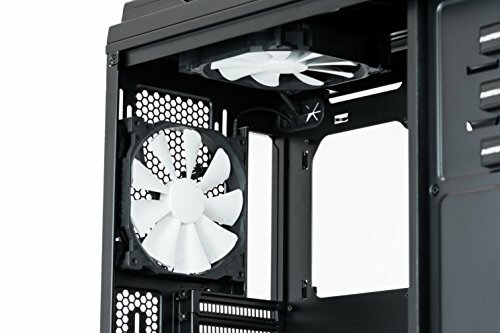 The Phanteks Enthoo line is one of the best on the market. They are beautiful cases and also very high quality. I love having the ability to add LED strips to this case and have a button built into the case to control the LED's. Not only that but it matches the outside LED's with the inside. Really is a very intelligent feature on their part. Built in PWM fan hub is also a very useful feature. I refuse to have a bunch of fan cables running to the Mobo and messing up the the look. Especially when you take the time and put the money into having individually sleeved cables. 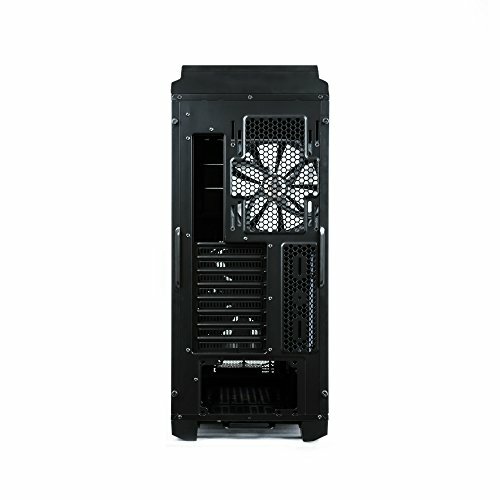 Other great things about the case is excellent cable management, a lot of space for radiators and fans(I have 9 fans and plan on adding more), removable HDD cages,. big window, and dust filters galore. 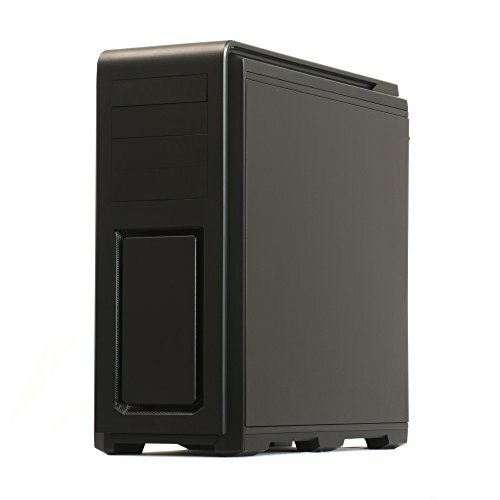 Nice case at a good price. Make sure you buy the optional light tape for it if you want it to look like pretty much every picture you've seen of it anywhere. Love this case! 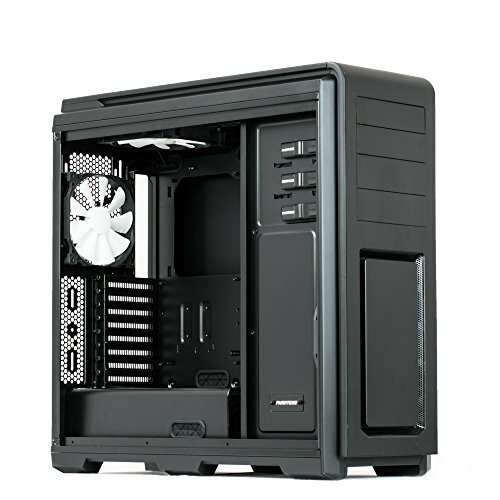 It looks great, unique window, variety of lighting colors, PWM fan hub, quality finish, functional dust filters for every intake fan, excellent cable management with Velcro straps. It arrived with the top bezel broken (naughty UPS). 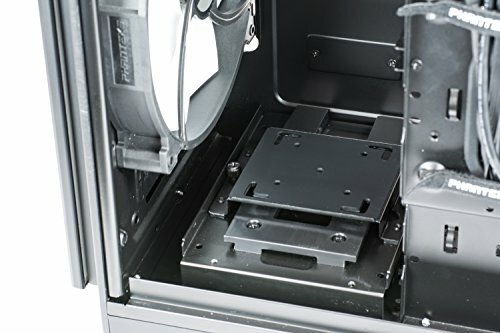 Phanteks customer service was phantastic <see what I did there> e-mailed proof of purchase and pictures of the damage and I they 2-day shipped the replacement part. A couple of very minor gripes (not enough to ding a star) is the screw holes seem to be cheap as some want to cross-thread. You just have to be careful and all is good. Also the front bezel has to be removed to clean the front fan filter, again, minor. I have never built in a better case! 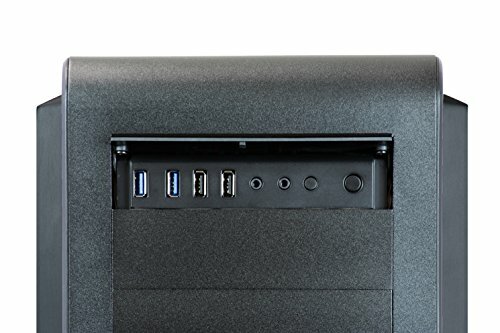 Great case, feels quality. very large. 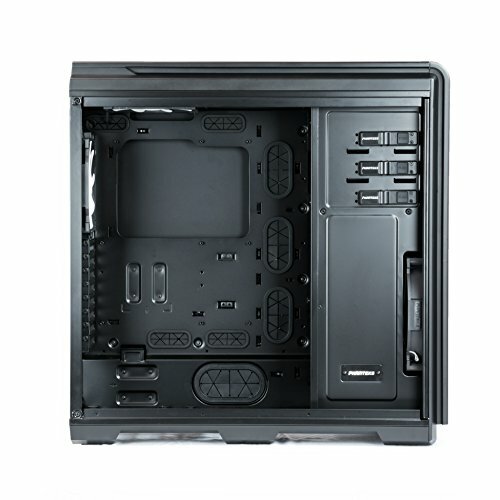 Some small issues: Missing Mobo stand off for the far right middle stand off for my Mobo, Gigabyte GA-Z170X-Gaming 3 ATX LGA1151(below ram), when pushing on that far side of board i need to open other side of case to help support. I do no know if this is a Mobo issue or case issue? I love this case. It shipped with faulty lighting, looks way to dim i almost fried my PC trying to fix it by adding more power to it to try and boost the lighting, scary. Really smart design. Plastic window is kinda cheap looking, not nice like the new glass cases. Side panels possibley a little to thin to keep all the noise in? makes it a lighter case though. HUGE case, I love the design and the multicolor led strip is a nice touch. a breeze to build in.